From as early as the 11th century, an enigmatic group known erroneously as the Assassins emerged in Persia. They take their name from Hashish (hashish-im, “hashish takers”) a trance inducing drug thought by many to help the leaders to control the minds of subverts. Iran’s Illuminati, Hojjatieh is a semi-clandestine Iranian organization which is radically anti-Bahai and anti-Sunni. The group flourished during the 1979 revolution that ousted the Shah and installed an Islamic government in his place. However it was banned in 1983 by Ayatollah Khomeini, the leader of the revolution. They believe that chaos must be created to hasten the return of the Mahdi, the 12th Shiite Imam. Only then, they argue, a genuine Islamic state can be established. Members of the Hojjatieh group think such a suggestion is blasphemy, for the coming of the Lord of All Ages shall be the end of the world as it is. Interestingly, and this is where the West really has to understand what is going on in Iran, the Hojjatieh group took no part in the 1979 revolution. For they actually believe in the spread of tyranny and oppression. If you stand in the way of tyranny and oppression then you delays the coming of the Lord of All Ages, the Hojjatieh argue. The current president of Iran, Mahmoud Ahmadinejad is rumored to be an advocate of this society through the influence of his mentor, the Ayatollah Mesbah Yazdi, who is also currently the highest ranking member in the organization. Since the president took office in August 2005 almost all of his major speeches contain some reference to the return of the 12th Imam. A September address to the U.N. General Assembly contained long passages on the Mahdi and Ahmadinejad’s later observation that he was surrounded by an aura (light) during the speech, and that the spellbound audience in the General Assembly sat unblinking. “Our revolution’s main mission is to pave the way for the reappearance of the 12th Imam, the Mahdi,” Ahmadinejad said in the speech to Friday Prayers leaders from across the country. There are older links for the Illuminati though that stretches right back into the realm of Afghanistan. 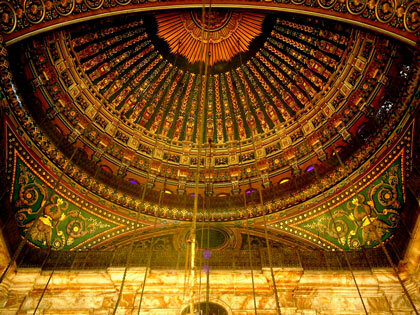 This link is with Roshaniya or Illuminated/Enlightened Ones and reference to them comes from the House of Wisdom in Cairo – a veritable fount of esoteric knowledge predating the Roshaniya by hundreds of years. Again initiation and ritual match up between the Roshaniya and others such as the Muslim Assassins, who influenced the Templars and hence Christianity, Freemasonry and so on. The earliest leader we know of is Bayezid Ansari, who claimed descent from the “helpers” of Mohammad. Who exactly these “helpers” were nobody knows; suffice to say their existence in helping Mohammad escape Mecca pinpoints them in space and time, if nothing else. It is claimed that Bayezid was indoctrinated by the Ismailis – themselves closed to the Assassins and having “hidden lodges” around the world. These Ismailis came about to protect a great secret of Islam after Crusades, in much the same manner as heretical Cathars protected some strange secret knowledge. It seems that the Ismailis recruited well, as the Illuminated Ones grew fast. Bayezid taught a series of supernatural exercises that were believed to lead to Enlightenment and the great secret – an obvious allusion to the fact that the great secret is Enlightenment. To obtain this illuminative aspect of the secret, they had to undergo the usual meditation and fasting called the Khilwat – silence. They firmly believed that the rest of mankind knew nothing, with exception of the other societies. The power came through with the use of drug hashish and clever ritualistic involvement making the Ismailis feel part of a greater good, as a “chosen one” a feeling Adolf Hitler would later use to gain control of the German people. A former Iranian diplomat who defected to the West said on Tuesday he had regularly seen North Korean technicians at Tehran airport between 2002 and 2007. Western intelligence agencies suspect North Korea may be helping Iran to develop long-range ballistic missiles and nuclear weapons technology. Tehran insists it simply wants to develop civilian nuclear power. 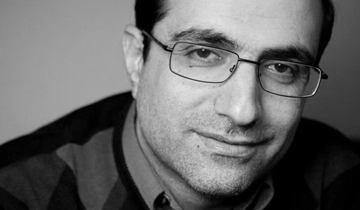 Mohammed Reza Heydari, Iran’s former consul general in Norway, defected amid protests in his homeland over Iranian President Mahmoud Ahmadinejad’s disputed re-election. Norway granted him asylum in February. On Tuesday he told reporters at a meeting organized by the Paris-based think-tank the Centre of Political and Foreign Affairs that he had seen North Koreans when he had been a foreign ministry official at Tehran airport. Heydari said he was “100 percent certain” that these contacts continue and alleged he had spoken to members of Iran’s hardline Revolutionary Guards Corps who confirmed that Iran plans to build a bomb. “I was able to confirm that Iran has two goals — to develop the range of its ground-to-ground missiles and to obtain a nuclear weapon with the help of North Korea,” he said. According to the defector, while Larijani’s group wants to govern Iran, Ahmadinejad’s supporters have a more “global agenda” and are awaiting the return of the “hidden imam”. Some Shiite Muslims believe that the 12th Imam, known as the Mahdi, who disappeared in the year 874, will return to bring justice to the world. Heydari said Ahmadinejad’s faction is pushing Iran’s nuclear agenda. “According to our information, this inner circle believes that with only two bombs they can ensure the survival of the country and of Islam,” he said. Signs of the Apocalypse – Very important and mostly ignored by Mainstream media. Hezbollah says its leader has given Iranian President Mahmoud Ahmadinejad an Israeli rifle captured during the militant group’s 2006 war with the Jewish state as a gift to cap off his two-day visit to Lebanon. Hezbollah says in a statement that Sheik Hassan Nasrallah presented the weapon to Ahmadinejad during a meeting at the Iranian embassy in Beirut late Thursday shortly before the Iranian leader wrapped up his trip. The 2006 war between Israel and Lebanon’s Hezbollah broke out after the Shiite militant group captured two Israeli soldiers in a cross-border raid. Some 1,200 Lebanese and 160 Israelis were killed in the 34-day war. Iran is Hezbollah’s top financial backer and is believed to supply it the group with weapons. His visit to the south brought Ahmadinejad the closest he has ever been to Israel and was seen as a joint show of defiance with Hezbollah. Ahmadinejad predicted the demise of arch-foe Israel from a Hezbollah stronghold in south Lebanon, just miles from the Jewish state. “The whole world knows that the Zionists are going to disappear,” he said Thursday to thunderous applause before a frenzied crowd in Hezbollah’s bastion of Bint Jbeil, some four kilometres (two miles) from the Israeli border. “The occupying Zionists today have no choice but to accept reality and go back to their countries of origin,” he added. Glenn Beck and Joel Rosenberg discuss Iran and the 12th Imam. The 12th Imam (Mahdi) being the Islamic messiah and the belief that he will not come until earth until after death and destruction on the earth. The leadership of Iran is trying to bring about the return of the 12th Imam by initiating wars. “And I, on your behalf, insisted and told them ‘The sanctions have had no effect, and whatever the heck you want to do in the next two years, do it now so we see what you are capable of’,” he said in the speech broadcast live on state television. Ahmadinejad and other Iranian officials repeatedly dismiss the effects of sanctions imposed on Tehran for pursuing its atomic programme. Mahmoud Ahmadinejad is an active member Hojjatieh Society which his guru, Janati leads. The president introduced to the society through the influence of Ayatollah Yazdi who was his mentor. 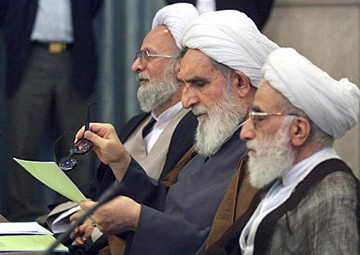 Ayatollah Mesbah Yazdi is reported to be the highest ranking member of the Hojjatieh. He denies this and has said that if anyone finds a connection between him and Hojjatieh, he will denounce everything he stands for. According to an Iranian expatriate known as Azarmehr, these Hojjatieh holding the control of power in Iran “believe he (Imam Mahdi) will reappear again when the world has become full of oppression and tyranny.” Azarhehr goes on to say that the “Hojjatieh… actually believe in the spread of tyranny and oppression” as a means to hasten to the return of the Imam Mahdi. “If you stand in the way of tyranny and oppression then you delay the coming of the Lord of All Ages.” This taken in consideration with the overall context of statements from the Iranian government regarding the existence of Israel, and holocaust denial (Mahmoud Ahmadinejad) and the 9/11 denial recently. 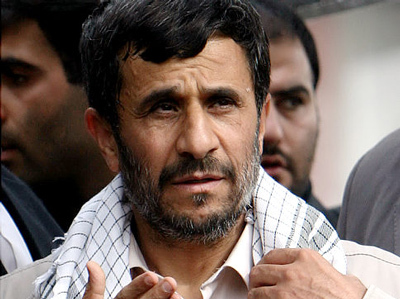 President Ahmadinejad announced that the West is trying to turn the September 11 attacks into another Holocaust so that nobody is dared to question the issues surrounding it. 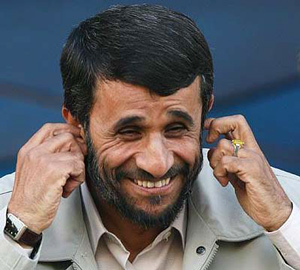 Why U.S. government permits Ahmadinejad to go to New York? Tehran prosecutor Abbas Jafari- Dolatabadi pledged that Iranian opposition leaders Mir Hossein Mousavi and Mehdi Karrubi will be brought to trial, Mehr reported. A case has been built against the two men, who ran in the June 2009 election against President Mahmoud Ahmadinejad and have since become leaders in the opposition known as the Green Movement, the state-run news agency said. A week before Ahmadinejad traveled to the U.N. General Assembly, he sought to divert attention from Iran’s dismal human rights record by intervening to free Sarah Shourd, one of three American hikers who had been jailed for 13 months in Tehran. He claimed this was a gesture of Islamic compassion due to her health problems. But his gesture rings hollow given that Shourd’s two companions – her fiancé, Shane Bauer, and friend Josh Fattal of Elkins Park – remain in Evin Prison. Nor can Ahmadinejad’s gesture hide the horrors perpetrated on hundreds of Iranians imprisoned since rigged elections last year. The mothers of two US hikers held in Tehran urged Mahmoud Ahmadinejad to bring the men with him to New York when he attends a UN meeting next week but the Iranian leader vowed not to intervene. I really wonder why U.S. government permits Ahmadinejad to go to New York and perform his little show? It’s like making a stage ready for your worst enemy to perform on, Logical?! Even most of people in Iran feel worse and worse every time he goes to New York.